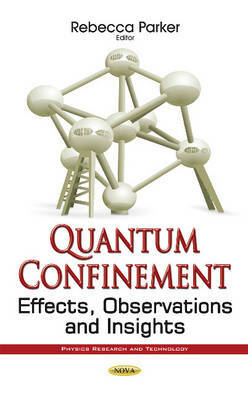 This book provides new research on the effects and observations of quantum confinement. Chapter One reviews manifestations of the quantum size effect for explaining the high anomalous activity of the metal and metal oxide nanoparticles in heterogeneous catalysis that might be associated with significant modification of their electronic properties compared to bulk materials. Chapter Two discusses quantum confinement effects within a cylindrical potential box. Chapter Three explores symmetry breaking and recoil effects in atomic confinement. Chapter Four scrutinises recent studies on the physical properties of silicon carbide nanowires (SiCNWs), while the wires with various sizes and surface termination hydrogen atoms are inspected by using first-principles method. Chapter Five focuses on scaling limits and quantum confinement in nano-scale silicon transistors.